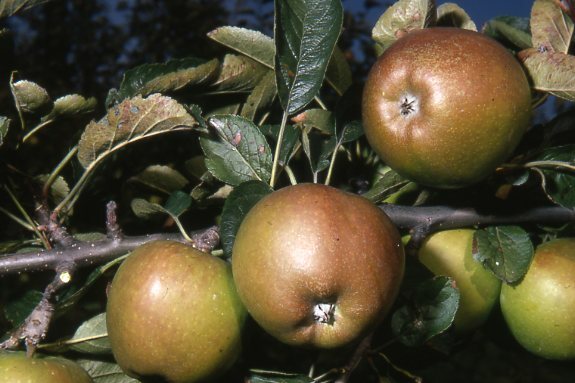 Keen followers of the Defra web-site will have seen that at the beginning of April Defra awarded East Malling Research a three year contract for ‘Fingerprinting the National Apple and Pear Collection’ to commence on 01.04.07 and finish on 31.03.10. This contract followed on logically from work that East Malling had already undertaken. They had fingerprinting half the Pear Collection, funded by a previous Defra contract, and this new contract would complete the pears. Prior to this fingerprinting of much of the Cherry Collection had helped in sorting out duplicate accessions. So it was all part of an ongoing programme. But when this contract is set against the tender document for ‘The Longterm Maintenance and Scientific Curation of the National Fruit Collections’ there is a problem and an extraordinary inconsistency. The tender document covers both the curation of the Collections and their husbandry. Under ‘Curation’ it asks potential bidders ‘to submit plans for the continued verification and characterisation of accessions in the Collections.’ To fulfill this, as well as morphological characterisation (descriptions of fruit and other features), it says that ‘Plans should be submitted for the continued exploitation of molecular tools for the verification of the major Collections.’ That is fingerprinting of the Collections and Apple is the major Collection. The tender had to be in by 14 May, yet a month earlier on 1 April, Defra had awarded East Malling a contract to do just that – finger print the Apple Collection and complete the fingerprinting of the Pear Collection. For those people preparing bids, a major chunk of what they were tendering for had been removed! Since it was not mentioned in the tender document, anyone who did not by chance come across the news of the contract awarded for fingerprinting the Apple Collection would surely have included it in their bids, thereby bidding for work already being undertaken. It makes one wonder if Defra departments communicate with each other at all, or is this part of some bigger picture? Can it be coincidence that Lord Rooker has stated that the decision to move the Collections was taken a year ago and that Defra had already awarded part of the work involved in their future management? SD: Lord Rooker we’ve heard in the programme about the role of the Brogdale Collection could play in halting the decline in fruit varieties in this country and yet there’s no requirement from DEFRA in this new contract to make it accessible to the public or even build links with the food industry – why not? SD: but what about the future. LR: well it is a unique collection of the ….. it has got a future we are under international obligations irrespective of our own desire to maintain this unique collection of massive numbers of varieties, now they all moved of course in the 1950s ‘cos they were at Wisley originally. There’s a need to relocate them to be honest simply because of the lease and access to the particular site so we’ve had a bid out for tendering to relocate and to curate the site so the site is looked after. SD: so you’ve already decided that its going to move? LR: well yes, the decision was taken to move the Collections sometime ago, in fact in last year simply because the lease runs out in 2016 so we have to make some preparations for this. SD: but the landlord has offered to renew the lease till 2050. LR: well that may be so but that’s part of because of what was happening between the landlord and the Trust, DEFRA owns the Collection but we don’t own the land. We took it upon ourselves to go out and test the market to see if we could relocate the site and have it curated properly elsewhere with a longer term. Now at that time I have to say the issue of 2050 wasn’t on my desk or any other ministers’ desk so the decision was taken to move it. SD: I think that will be news to many of the people involved in Brogdale. You mention…. LR: no, no, no with respect, with respect it is not a surprise, it has been an open tendering system that’s been open and acknowledged to be open, so that there is no surprise about that that we asked for tenders for looking after the Collection and to make sure it’s curated properly. SD: but my understanding is that at least one of the tenders is that it continues at Brogdale, they take up the landlord’s offer to extend the lease and remain there because as we heard in the programme from Dr Joan Morgan one of the big issues is that you have 50 odd years of records and at a time of climate change you have this astonishingly valuable record which will be lost, you’ll have to begin all over again wherever you move the site to. SD: …. Don’t know … I mean … we’ve heard … no indeed but we heard it, it wasn’t straightforward but there’s still is this difference and one of the bids is to extend the lease with the current landlord and stay on the Brogdale site because of the scientific value of the records that have been kept. LR: yes but I can’t possibly say here and now that that would be a preferred option because competitively other bids might have come in and I can’t be in a position of pre-judging what has been a legitimate lawful tendering process, I don’t know about any of the details of the bids that have come in, even what you’re telling me and it would be quite wrong of me to comment on one particular bid when quite clearly other bids were collected by the mechanism of the competition. SD: well how committed is DEFRA to keeping a living national collection of fruit trees because in the last year you’ve nearly halved the amount of money you spend on maintaining the Collection, you’ve commissioned a study on how to preserve fruit varieties relying on lab techniques more than on real trees and in this new contract in the new bid you’ve asked interested parties to make the case for keeping certain species in the collection, so does that mean that we’re going to see a scale down collection in the future? LR: yes but we have a further £105,000 for the curation, we’ve got the maintenance cost down, what I mean we’ve got to look for value for money after all but I’ve made it quite clear though we have looked and explored ways in the past of preserving the Collection by cryopreservation but then it’s not a currently reliable technique, DEFRA is committed to keeping a live collection. SD: you’ve talked about the international obligation on the UK Government to keep the Collection but that only applies to apples doesn’t it, so what is going to happen to the thousands of varieties of pears, cherries, gooseberries, quinces and all the rest that currently make this, this world site, this most important collection of fruit in the world? LR: well to the best of my knowledge the international treaty on plant genetic resources for food and agricultural goes somewhat wider than apples. Our commitment is to keep and maintain a live collection that we’ve got at the moment as I said which is apples, pears, plums, cherries there is over 300 varieties of bush roots, there’s a smaller collection of nuts and vines I understand as part of the collection but we’re committed to keep a live collection. SD: Minister for Food and Farming Jeff Rooker, many thanks. Should we entrust the National Fruit Collections to Brogdale Horticultural Trust? Friends of Brogdale, who include many well respected fruit experts and enthusiasts, were alarmed by the notion, publicly signalled by the Chief Executive, that the Trust seemed set on moving the National Fruit Collections. This action would form part of a bid, with other partners, for the new Defra contract to maintain and curate the Collections; it is not specifically ruled out by the tender document. However, it would seem to negate the reason for a charitable trust – and a Friends arm – having been formed in the first place; namely, to conserve the collections on the existing site (used for the purpose for 50 years ) in the face of the then MAFF’s wish to dispose of it. Consequently, an ad-hoc action group called for a Special General Meeting of the Friends to consider a proposed constitution change which would make Friends’ support conditional on the Collections staying at Brogdale. In the lead up to this meeting the Trust adopted spoiling tactics by changing the proposed date and venue, and denying access to the contact details of Friends. The Trust then had the nerve to send a mail-shot to Friends asking them to ‘…show faith in us by voting against the motion’. But the attending Friends voted overwhelmingly for the motion, which clearly demonstrates what little faith they have in the Trust. If even Friends feel this way, could Defra be confident to leave the Collections’ care to the Trust, particularly when the Trust has been and still is in financial difficulties? Some Friends realise that the financial case against the Trust is compelling, given its parlous state as revealed in the accounts presented on 28 April at the AGM. The fact that the economic case for continuing at Brogdale also goes unanswered by the Trust gives the impression that the move is really about avoiding its own financial problems. The real question is why Defra or anyone else would want to enter a contract with the Trust under such circumstances. The Trust was formed in 1990, and bought the Brogdale site to provide a safe, secure and permanent home for the Collections. By 1999, they were unable to repay the mortgage at the end of its ten year term but, by selling the freehold, gained a reprieve. The new freeholder granted a favourable lease for the whole of the site at a competitive rent. However, by 2006 the Trust’s trading arm had accumulated losses totalling nearly £220,000, and they are warning of further significant losses to come. The Trust’s balance sheet shows minimal assets, which itself is only achieved by the accounting ploy of including £100,000 owed by its loss making subsidiary. If one could see its current position, it may well show that its liabilities exceed assets. Most people would take this as a sign of serious and inherent management failings, which in a commercial environment would lead to directors and managers being held to account; but not in the Brogdale Trust it seems. The Trust have referred to a number of financial factors in justifying its proposal to move the Collections from Brogdale, but do they stand up to detailed scrutiny? Under both the current and future contract, Defra pays the cost of the land on which the Collections grow, as well as the husbandry costs of maintaining the Collections. Since the contract is subject to competitive tender, Defra will no doubt be comparing land and maintenance costs both against the existing contract and across all the bids. The Trust, as indicated above, seems to want to move the Collections to somewhere else in Kent. It is known that land costs in Kent are broadly comparable as between sites offering similar facilities. Given the favourable rent and lease terms at Brogdale, is one expected to believe that such land can be found at lower cost elsewhere? If the Trust was to relocate to another site in Kent, it is hard to believe that maintenance would cost less than at Brogdale. So, in competitive bid terms, land and maintenance costs at Brogdale should be highly competitive, which makes the economic case for keeping the Collections there compelling. The Trust admits that moving the Collections would be costly. In the context of the current tender, it would seem to make the bid much less competitive compared to retaining the Collections at Brogdale. On the face of it, a Trust bid could not include any costs for moving. Is this why the Trust has never put forward a convincing and compelling business and economic case for moving the Collections from Brogdale? Looking at the accounts approved by the Trust for its trading arm, one can see that only losses, not profits, have been generated. This despite the fact that at Brogdale it has had more than a shop, tea room and plant centre from which to generate profits. If the Trust could not balance the books there, is one seriously expected to believe that it could do so from a much smaller asset base elsewhere? In BBC interviews and other media reports, the Trust continues to contend that the inability to generate a surplus from the shop, tea room and plant centre operations was another reason for moving from Brogdale. The fact that the accounts also reveal the Trust not to be receiving surpluses from other commercial activities is conveniently ignored. The Trust has also claimed to have been subsidising the Collections’ maintenance. But the accounts, including those of the trading arm, show its limited ability to do so. They have no significant tangible assets, and its commercial arm has nothing but liabilities. Since government contracts are audited, and valid reasonable costs are accepted, one has to ask whether the Trust is really subsidising the Collections as claimed. The Trust seems to be implying that Defra is not meeting its financial obligations. Is this credible, or is the Trust simply not able to manage and justify its maintenance costs? The Trust’s financial capacity is compromised by its impoverished state, which it has achieved despite Friends’ loans and volunteer input over a long period. Strategically and operationally it is not sensible to form a contractual relationship with an organisation in this position. Defra, in contrast to the old MAFF, appear to want a safe, secure and long-term future for the National Fruit Collections. The Trust’s financial record under its present management and trusteeship does not point to them being a reliable contractor, alone or in partnership. It is now an open secret that the Trust’s other partners in the bid for the Defra contract are Imperial College (who absorbed Wye College, the present curators) and East Malling Research, which would also be the site of the ‘new’ Collections. In my judgement, in the light of the above considerations, Defra would be unwise to consider the Trust for follow-on guardianship of the Collections at present, either solely or jointly. As Lord Rooker said ‘Defra owns the Collection but we do not own the land so we took it upon ourselves to go out and test the market to see if we could relocate the site.’ The reason Defra does not own the land is because government decided to sell the land at Brogdale. Instead government decided to lease the land at Brogdale. For 17 years this has worked satisfactorily and will continue until 2016 or whatever time the lease is finally terminated. One reason given for the moving the Collections was that the Defra lease runs out in 2016. When asked about the offer to extend the lease to 2050 Lord Rooker said ‘at that time I have to say the issue of 2050 was not on my desk or any other minister’s desk. So the decision was taken to move it.’ Yet surely before making such a decision the public would expect Ministers to know whether the Collection could remain at Brogdale and the terms of any extended lease. Other points made were that ‘the Trust do not have security of tenure on the site’ and because ‘of what was happening between the landlord and the Trust.’ Why do Brogdale Horticultural Trust not have security of tenure on the Brogdale site? Well in 1990 the Trust bought the land at Brogdale but because of financial difficulties it had to sell the land to settle its mortgage commitments. Since then it has leased the land. Why could this not continue? Is it because the Trust is again in serious financial difficulties and this really underlies what is happening between the landlord and the Trust? However one must always come back to the fact that the over-riding Defra lease protects the Collection at Brogdale. Defra interests are not the same as the Trust’s and should not be used as a reason for moving the Collection. No public announcement was made by Defra in 2006 that a decision had been made to relocate the Collection from Brogdale. The Defra tender documentation simply stated ‘should applicants wish to relocate the Collections’ not that they must be moved. If Defra had decided to relocate the Collection why did it not disclose this fact and set it out clearly in the bid documentation? How can it be claimed that the open tendering system is ‘open and acknowledged to be open’ if bids to keep the Collection at Brogdale are rejected for the simple reason that Defra has already decided to relocate the Collection. In answer to a question about a bid based on keeping the Collection at Brogdale Lord Rooker said ‘I can’t possibly say here and now that would be a preferred option because competitively other bids might have come in and I can’t be in a position of pre-judging’. By taking the decision in 2006 to move the Collection surely the pre-judging has already taken place. If a bid to keep the Collections at Brogdale was the most competitive what would Defra do, reverse its 2006 decision citing public value for money? When I read Howard Stringer’s article about his experiments with growing very late maturing apples, it reminded me of the selection Howard had sent over for us to taste at the beginning of February at home in Belgium. From the early 1980s a group of 20 organic fruit enthusiasts have been gathering together to taste selections of different fruits. We belong the VELT organisation (Vereniging voor Ecologisch Leef- en Teeltwijze), similar to the organic gardening, Henry Doubleday Research Association in England. We have had many tasting sessions and gained lots of valuable information. Late keeping apples are important to us as we like to eat as much home grown produce as possible. The visit of Vincent Turkelboom, a teacher of horticulture, presented a good opportunity to taste Howard’s apples on 24 February. There were three of us – Vincent, Aleide (my wife) and me. We gave marks from 1 (very bad) to 10 (the best). All of the varieties received high scores and had benefited from last year’s beautiful autumn weather with Sturmer Pippin coming out top. They will all keep for a long period without cooling facilities and can be of great value to the amateur. It was an extremely interesting tasting session. Yellow with a slight red flush, the flesh was a little soft, but still crisp, perhaps just over the top. Nice looking pips. 8 out of 10 and the second best overall. Hard, white flesh, crisp, sweet- sour with a special aroma; a long keeping Apple. 7 out of 10; third and equal to Yellow Newtown Pippin. As yellow as a Golden Delicious, still hard, sweet, with a special aroma. 7 out of 10; the third best. Still hard, old fashioned taste, sweet. 6 out of 10; the fifth. 5. Sturmer Pippin: arose England about 1800. Tasty, refined after taste, pleasantly acidic; high vitamin C.
8 plus out of 10; the first and best. What is the Future of the National Fruit Collections? Do Defra papers reveal that under ‘Treaty and Best Value’ obligations the National Fruit Collections may be reduced to a single collection, apples, and that either none or as little as 10-20% of this apple collection may be held in a form suitable for public visits? Is there any guarantee for the long-term security of all the Collections? 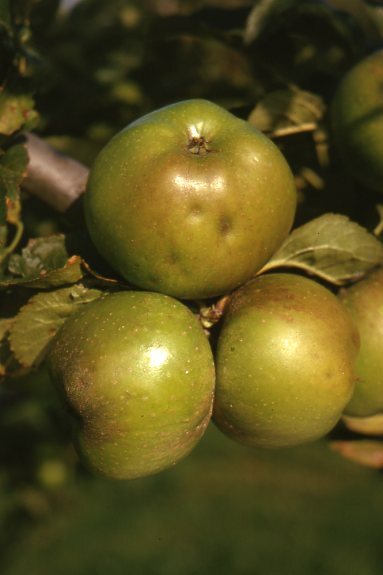 The UK National Fruit Collections safeguard a valuable part of our agricultural heritage. The Collection comprises just less than 4000 varieties of apple, pear, plum, cherry, quince, medlar, hazelnut, currant, gooseberry and vine. More than two thousand apple varieties are maintained at Brogdale ……… The Collections ……… form a unique resource whose value is internationally recognised. 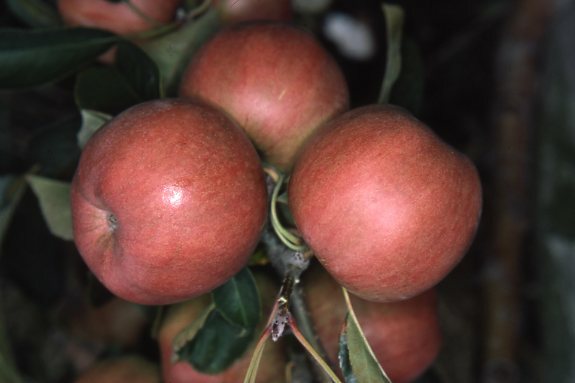 The International Treaty on Plant Genetic Resources list those crops for which conservation is considered most important, this includes Malus or apple, the primary UK crop. Although scientific advice has previously justified all the existing National Fruit Collections, is Defra indicating that not all of the Fruit Collections are important to the UK and therefore do not need to be supported? Defra is certainly asking bidders to justify the inclusion of particular fruit collections and even then their inclusion seems to be conditional on the maintenance and housing costs being acceptable. If Defra did remove support for some or most of the Collections it would represent a major break with the past and seems a strange way for government to safeguard a valuable part of the UK’s agricultural heritage and what is internationally recognised as a unique resource. In research paid for by Defra, scientists have confirmed that ‘the area of land required for growing the trees is responsible for much of the cost of maintaining the National Fruit Collections as a field collection’, but the report also clearly states that ‘there are many advantages of maintaining a field collection’. It examined for Defra various methods of lowering costs by reducing the land required through the use of dwarfing rootstocks, cordons, potted plants, cryopreservation etc. In a fundamental change to the past, it proposed ‘an active field collection representing the diversity of the total collection and also containing frequently requested cultivars and others showing unique genes. This may represent 20% of the total collections but ….. it may be as low as about 10%.’ Each has its own advantages and disadvantages including risks to the germplasm resource. The Defra contract specification is not specific as to how a collection should be maintained, but Defra’s emphasis is on the Collections’ use as a germplasm resource and the suitability of cryopreservation or other in-vitro techniques for the long-term secure storage of the Collections. Historically the Collections have been maintained, for good reason as a living reference library, in accordance with sound commercial practice, grown as they would be in a modern orchard, with two trees for each variety. Would cost cutting linked to ‘Best Value’ by Defra mean that government support for individual collections would be removed, perhaps leaving only the Apple Collection? Conserved not as trees but in another form, say cryopreserved or only 10-20% of the collection planted as cordons that simply reflect the diversity of the total collection.The reduction in accessions in the active field collection will obviously result in reduction in land and maintenance costs, but there are risks. Defra has recently spent public money on repropagating most of the collections. The Pear Collection, which is the second largest with more than 500 varieties, has only recently been re-propagated. In due course the Apple Collection will be also be renewed. If the Collections were to be discontinued or were to be moved from their current site either this public money might be seen as wasted or would need to be incurred again to enable the Collections to be moved. In either case could Defra be said to be squandering public money if the Collections were not maintained in the future? Has a clear scientific framework or guidance been established prior to the bid as to the best way to protect and conserve the National Fruit Collections for the future? Without it any group appointed to examine the bids may find there is scepticism both from the scientific community and the public over advice as to securing the future of the National Fruit Collections. Although National Fruit Collections, is there going to be any public consultation to inform government how the public wish the Collections to be conserved? The National Fruit Collections are the world’s largest collection of temperate fruits growing on one site. Established at Brogdale, near Faversham in Kent, in the early 1950s they have been growing there ever since. Now there is a threat that they be moved elsewhere, but there is no good reason to do this. Arguments for keeping them at Brogdale have been aired here, in the local and national press, and the Collections are the subject of the BBC Radio 4 ‘Food Programme’ next week. But the Minister Responsible for Horticulture needs to be aware of this wide concern for their future – we need to write to Lord Rooker at House of Lords, London SW1A 0AA asking him to keep the Collections at Brogdale. We give you ten good reasons why below. The National Fruit Collections are the UK’s national collection; they are our fruit heritage, part of our social culture and countryside, contributing local distinctiveness to villages and landscapes. They also represent the UK’s international commitment to conserving the genetic diversity of food crops. Over 4,000 fruit varieties are growing at Brogdale: 2,090 apples, 522 pears, 283 cherries, 326 plums, 48 hazelnuts, 152 gooseberries, 209 currants (black, red, white and pink), as well as small collections of vines, quinces, medlars and apricots. A unique collection not only on account of its size but also because it has so many different kinds of fruits growing together on one site and furthermore for over 50 years giving 50 years of continuous records under the same conditions. A fruit lover’s paradise as well as unrivalled data for the student of genetic diversity and climate change. Moving the Collections will break this continuity and it may put the integrity of the Collections at risk – there is always the possibility that a variety may be lost in the move. Decisions may be taken to rationalise the Collections, or they may be slit up and go to different sites. The Collections are owned by Defra, who fund their maintenance. The new maintenance contract, from April 2008, has opened up the possibility that they could be moved. Bids for the contract have to be in by today, 14 May, and the result is expected this summer, so now is the time to act. The decision as to their future lies with Defra, but we may be able influence the outcome by writing to the Minister Responsible for Horticulture and putting the case for the Collections remaining at Brogdale. Please write to Lord Rooker and to your own MP. Personal letters count with politicians and government departments. Individual letters stating the case are one of the most powerful ways of getting the point across and informing decisions. 1. The Brogdale site is ideal for a fruit collection from both the point of view of horticulture and history; a situation not necessarily found elsewhere. Brogdale has the deep fertile soils needed for fruit growing. The site is near the sea giving some protection from spring frosts. East Kent receives maximum sunshine for the UK. East Kent also has centuries of history in fruit and our oldest fruit growing area. 2. To move the Collections would put them at risk. Varieties may be lost. The Collections may be dispersed destroying their unique feature – a wide range of fruits all growing on one site. 3. At a new location they may not be open to the public. 4. To move them would involve huge expense and time – a minimum of five years and probably ten years to re-propagate, plant and verify the new collections. 5. The Collections have long term security at Brogdale. The owner of Brogdale , Tony Hillier of Hillreed, has told Defra that he will extend the lease on the land on which the Collections grow to 2050. 6. The Collections are not in need of re-propagation. The Cherry, Plum, Bush Fruit and Nut Collections have all recently been re-propagated and verified (with the exception of the nuts) as part of the routine schedule of husbandry. They are all cropping well and in their prime for at least another 20-30 years, similarly the Vine Collection. The Pear Collection has been re-propagated and ready to be planted. The Apple Collection is coming up for renewal but could wait for another five years. 7. The National Fruit Collections have been growing at Brogdale for 50 years and have 50 years of continuous records. This is an unique record for any fruit collection anywhere in the world and provides invaluable information for research studies on fruit growing in relation to climate change. 8. The Collections have 50 years of international reputation and good will at Brogdale. No other country has a central national collection of fruit; it is the envy of the world. European collections are considerably smaller and dispersed. The US has large collections but these are located in different places – the apples in New York, the pears in Oregon, for example. 9. Brogdale and the Collections are associated both nationally and internationally. To move them would destroy the link for the general public and the fruit specialist. It would take years to regain this precious asset. 10. The Collections are fine where they are – flourishing and secure. Moving the Collections is unjustified, unnecessary and a great waste of public money.